It’s Malaysia Day Eve. Go shoot some fireworks at the ongoing Putrajaya International Fireworks Competition at midnight. Photography Tip: Use a a relatively long exposure to capture the long and flowing light trails. Also, as I always emphasise, find a landmark to juxtapose, if practical. Fireworks are attractive by itself, so there is the temptation to point up and isolate the bursts alone. It is nice but meaningless when you look at it years later. A black sky is the same, anywhere in the world. So go early, find ‘ground zero’ and scout around for a view that includes an interesting background. It won’t be easy at Putrajaya as there are few buildings around the launch site. If you can’t find a suitable background, try to include the lake and the reflections off the water. Long exposures are easy with the OM-D’s Live Time and Live Bulb mode. Just press the shutter and watch the exposure build up on the LCD screen in real time. Stop when you see a perfect exposure. It was raining last night when I photographed this display from Team China. My assistant held an umbrella while I wiped the lens after each shot when the camera processed and wrote the file. Happy 50th Malaysia Day on September 16th. Olympus OM-D, ISO 200, f18, 4.58 sec. 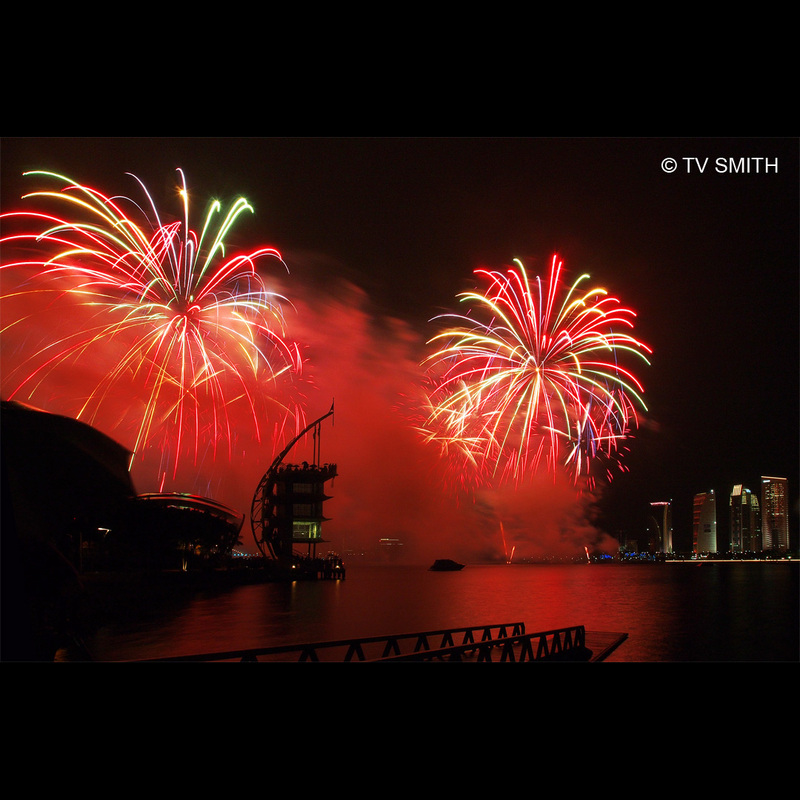 This entry was posted in Events, Geography, Instagram, Olympus OM-D, Photography and tagged celebrations, competition, fireworks, lake, long exposure, malaysia, night, nightscape, pifc, putrajaya by TV Smith. Bookmark the permalink.